This is ARIEL #A2030762 , a 2-year old female Terrier mix. She is so adorable! I love these white chested brindles so much, but they have a really hard time getting noticed at the shelter, there are so many dogs that look alike. Ariel is a calm girl, she wasn’t barking or acting out in her kennel, she was so happy outside, shecking everything out and coming for pets and affection. She acted friendly with the dogs we encountered. Please SHARE, PLEDGE, offer to FOSTER for a rescue or come and ADOPT her into your family as a PET. 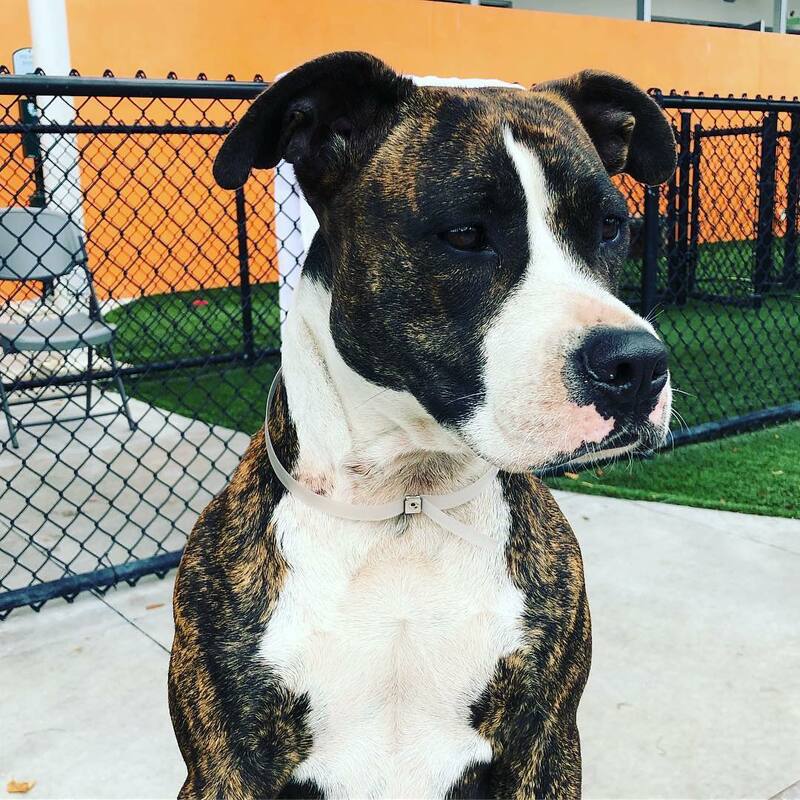 @mdas_miamidade @mdas_miamidade @urgentdogsofmiami @miamidogs @miamidadedogs @loveofpaws2017 @dogsandartonline_ #americanbulldog #terriermix #bullybreed #bullyforadoption #lovebullydogs #americanbulldogforadoption #adoptdontshop #spayandneuter #spay&neuter #adoptarescuedog #savingoneatatime #garciaboniniphotos #garciabonini #volunteer #miami #dogsinmiamiforadoption #mustlovedogs #companion #bullymutt #bullylove .